Absolutely. We’d love for it to be there. But again — and this is where there needs to be an understanding of just the development process — Red Dead has been in development for years, time that predated any communication of Nintendo Switch. So, from the developer’s mentality, they need to move forward and finish the game they’ve been working on and then be in a position to look at other opportunities. Any game from a key third-party that’s coming out now, typically that development started well before any conversations about Nintendo Switch. What happens moving forward? We’ll see. But that’s how you wind up with a situation with Red Dead not being available on our platform. 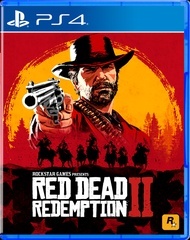 Red Dead Redemption 2 kwam op 26 oktober uit voor PS4 en Xbox One. De gigantische open wereld van Rockstar Games wordt inmiddels door miljoenen spelers ontdekt en sinds kort is ook de Red Dead Online beta in de lucht. Over Nintendo en third party-games gesproken, Reggie had vorige week tijdens The Game Awards 2018 een mooie verrassing in petto: Joker uit Persona 5 komt als DLC-personage naar Super Smash Bros. Ultimate! Na die aankondiging werd het internet helemaal gek, want sindsdien gaat het gerucht de ronde dat Persona 5 volgend jaar naar de Switch komt! Reggie werd uiteraard gevraagd naar die mogelijkheid, maar hij kon geen antwoord geven.